If you like monster movies, you're in luck these days. Not only is Universal trying to get together their Dark Universe, which kicked off with The Mummy (even though it was panned by critics), but Legendary is also moving ahead with their MonsterVerse, which will eventually see King Kong and Godzilla duke it out with one another in 2020. To add to that, now we are going to be getting a pretty crazy sounding movie about Nessie, aka the Loch Ness Monster, which will be adapted from the 2005 novel The Loch. Author Steven Alten, who is responsible for The Loch, recently spoke with Bloody Disgusting and revealed that his Loch Ness Monster book is headed to the big screen. Producer Belle Avery, who is working with Alten on the giant shark movie Meg, is reportedly working with Chinese producers to make The Loch happen. Meg, which stars Jason Statham as a man who is going to have to fight a giant Megalodon (hence the name), is going to hit theaters next year on August 10, after years of development. Apparently, that went well, since the producers are now looking to adapt another one of Altman's books. Here's what the author had to say about it. "Belle Avery, the lead producer on Meg, is working with her Chinese producers to bring The Loch to the big screen. Screenwriter and director are their first priorities... and they are speaking to some serious talent." There have been plenty of shark movies over the years, with 47 Meters Down arriving in theaters just this past weekend, and plenty of other creatures have had their big days on the big screen over the years. But surprisingly, there hasn't really been a true monster movie centered on the Loch Ness Monster. Sure, some movies have featured Nessie, but they have more or less been family friendly affairs. The Loch will look to amend that. In case you haven't read the book, here's a synopsis that explains just how crazy this movie could be. "Marine biologist Zachary Wallace once suffered a near-drowning experience in legendary Loch Ness, and now, long-forgotten memories of that experience have begun haunting him. The truth surrounding these memories lies with Zachary's estranged father, Angus Wallace, a wily Highlander on trial for murder. Together the two plunge into a world where the legend of Loch Ness shows its true face." This may be bit of a stretch, but both Meg and The Loch are pretty out there and crazy in terms of their premise and execution. Is there any reason to think these movies couldn't take place within the same universe? Studios are trying very hard to put together cinematic universes these days, so perhaps that is being discussed with Meg and The Loch. Some sort of cryptozoology cinematic Universe? Depending on your personal palate for movies, that idea either makes you cringe or perk up with excitement. 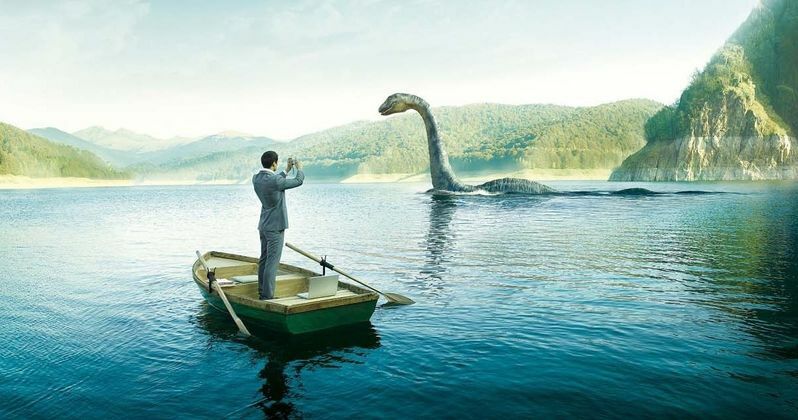 Either way, it sounds like we could be getting a proper Loch Ness Monster movie in the future.